Are you looking for a cost effective way to improve the look and function of your home’s exterior? Well, look no further. Vinyl siding is the #1 exterior cladding in the United States, and when considering that air leakage can account for up to 30% or more of a Utah home’s heating and cooling energy costs, insulated vinyl siding provides an obvious solution. Insulated vinyl siding’s purpose is to reduce energy consumption, increasing the insulation value of the wall system and improve the stability and curb appeal of the siding. Additionally, insulated vinyl siding serves as a noise barrier to external noise. On the outside, insulated vinyl siding looks as beautiful and attractive as any other vinyl siding on the market. Underneath this standard exterior though, is a polystyrene (EPS) foam interior that has been permanently attached to it. This substantial layer of insulation helps slow the transfer of heat as it moves through the walls of your home from outside or from inside your home to the outside. It’s designed to keep the climate inside your home comfortable, regardless of the weather outdoors. Unlike conventional hollow siding, which can be damaged by rain, hail or even by a child’s fly baseball, insulated vinyl siding offers 5 times greater impact resistance over hollow siding. Insulated vinyl siding comes in a variety of colors to choose from and requires little to no maintenance. Insulated vinyl siding also offers better weather performance and better sound control properties than traditional siding. Insulated vinyl siding is engineered with a rigid foam backing that can wield a straighter, cleaner exterior and allows the material to lay flat. Because polymer-based sidings do not absorb water insulated vinyl siding will not rot or become damaged from water, mold, insects or long-term exposure from the sun. Additionally, our rain-screening design does not trap water behind the siding. When talking about homes, an R-value refers to the capacity of a material to resist the flow of heat, and measures the effectiveness of insulate properties. The higher the R-value, the more effective the insulation. Insulated vinyl siding increases the R-value of your home, which equates to lower energy bills throughout the year. When compared to the cost of non-insulated vinyl siding, you can expect to pay more than regular hollow vinyl siding, but still pay less than other kinds of siding material such as brick. The additional cost, however, is recovered over time in the form of significantly lower energy bills with no loss of comfort inside your home. This is due to the efficiency of the 3/4-inch thick foam insulation. 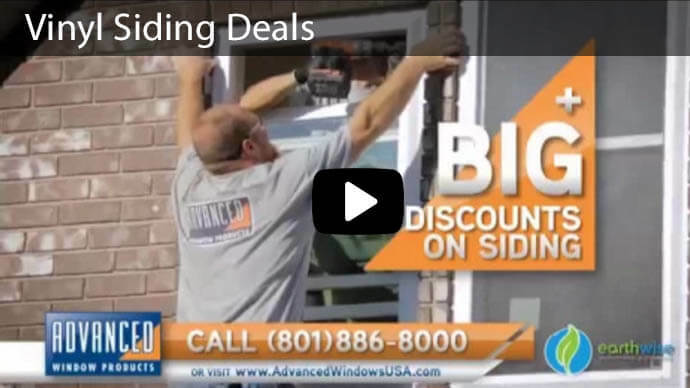 For more information on the cost, call our experts at Advanced Windows USA to give you a free estimate. This service also allows you to discover for yourself the many other benefits of insulated vinyl siding that make it worth the extra cost, such as the fact that it is maintenance free. 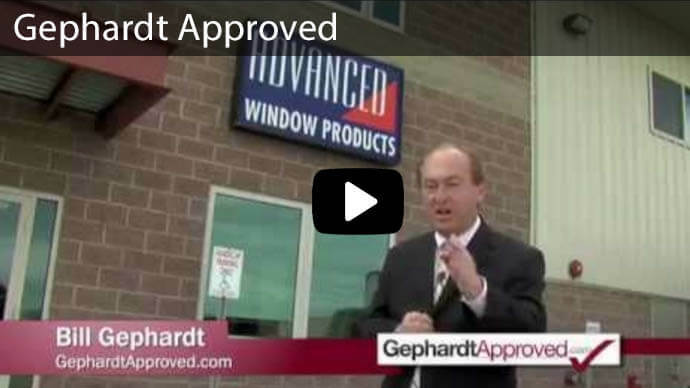 If you’re considering insulated vinyl siding for your home, contact Advanced Window Products in Utah at 1-800-246-9355 to request a free quote. We offer attractive terms with no money down and zero percent interest for 60 months. This allows people to work within their budgets so they can experience the benefits of insulated vinyl siding. A limited lifetime warranty protects your investment. Call us at 801-505-9622 to get a free quote on our insulated vinyl siding Utah.